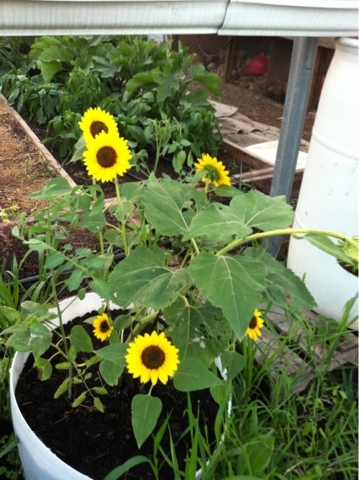 We plant a variety of sunflowers in a variety of spots. Some grow as tall as the hoop house while others are small, and a bunch are in between. Native to this continent, sunflowers are a magnet for many pollinators, as those big flowers make them happy. There are other types of sunflowers from the open pollinated, heirloom types that we grow...F1's and even some that are more genetically altered. We love the depth and breadth of kinds we grow, and like the bugs that join us as a result. We know they also visit all of our different vegetables and pollinate them too. 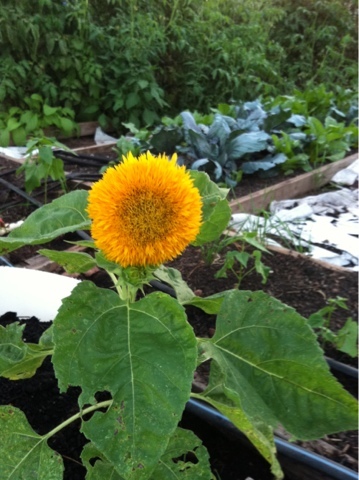 The more flowers on vegetables pollinated the more vegetables, yay!